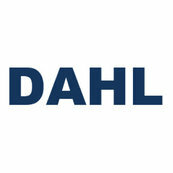 I like working with everyone at Dahl Decorative Kitchen and Bath. They are knowledgeable and helpful whenever I work with them. I like that they have a showroom that clients can go to for a hands on experience with the fixtures. For several of our clients, we have met in the showroom with a professional, by appointment, who has helped with selection of fixtures for their new home. This has always been a positive experience for both me and the client. They are always good at helping us find a product, when time is a factor. And they are also willing to let me know if they cannot meet a specific need, so that I can look elsewhere. All in all, they are one our main suppliers, and we enjoy working with all of them.